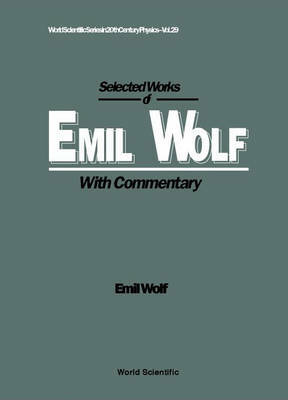 This invaluable book presents most of the important papers of Emil Wolf, published over half-a-century. It covers chiefly diffraction theory (especially the analysis of the focal region), the theory of direct and inverse scattering, phase-space methods in quantum mechanics, the foundation of radiometry, phase conjugation and coherence theory. Several papers which have become classics of the optical literature are included, such as those on Wolf's rigorous formulation of the theory of partial coherence and partial polarization, the introduction of diffraction tomography, and his discovery of correlation-induced shifts of spectral lines (often called the Wolf effect). There are also papers dealing with the historical development of optics and some review articles.